It hasn’t been long that at the 2015 Geneva Motor Show, the Opel unveiled its Astra hatchback. 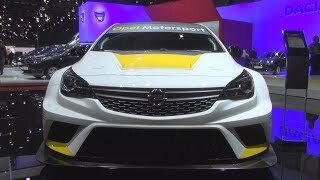 Moving ahead towards the 2015 Frankfurt Motor Show they introduced the all new race car model for their TCR series; the Opel Astra TCR 2016. Crafted in lightweight chassis and with sportive details the model is designed to perform miraculously and at an affordable price. Let us have a look at the review of Opel Astra TCR 2016 to know more about the specifications and features of the model. The interior of Opel Astra TCR 2016 loudly narrates the saga of it being a sports model and not the usual race car. Everything inside is crafted to lighten up the model’s overall weight; be it the dash or the rear seats. However the steering wheel is standard and comes wrapped in Alcantara. The three-spoke steering wheel is mounted with certain race specific controls. For the driver company has loaded the Recaro sports bucket seat with five-point harness and the roll cage too is FIA-approved. Apart from these entire interior details of Opel Astra TCR 2016 confine to just one word; race car. 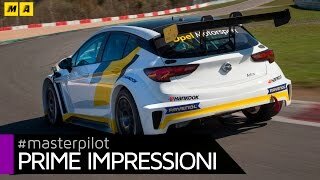 The exterior of Opel Astra TCR 2016 looks muscular and has some really aggressive features. Starting with the front fascia the model has a vented engine hood, delivering some fresh air to its engine while the widened front fenders come integrated with tiger-eyed headlights and massive air ducts for brakes. There is also a lip-spoiler beneath the massive air-vent over the bumper. Moving towards the rear end, things get more sportive with the side skirts and the massive rear wing mounted over the tailgate. 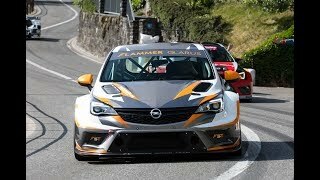 In all the exterior details of Opel Astra TCR 2016 the model has lots of aggression and a design that will undoubtedly steal the gleam while rolling down the track. 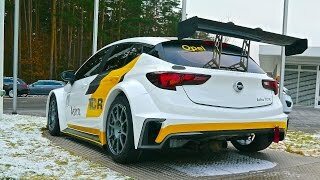 Beneath the hood of Opel Astra TCR 2016 is a 2.0 liter four-cylinder turbocharged gasoline engine cranking total output of 325 hp and peak torque of 420 nm paired to updated six-speed sequential gearbox. The performance figures of Opel Astra TCR 2016 are still not shared but we do expect them to be out in near future.